In this episode of the Masters of Data podcast, I speak with a guest who is well acquainted with the idea of big data, understands the value of it, and is well aware of the hazards surrounding it. How does capitalism change in the age of big data and the emergence of data superstars like Amazon? 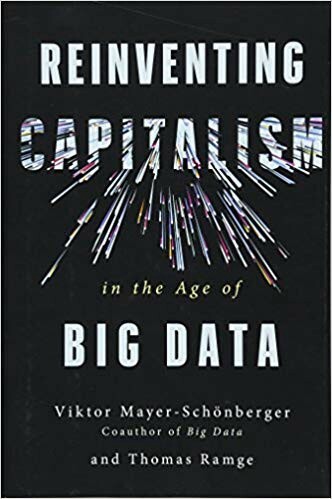 To answer that we have a guest who is the author of a book called Big Data: A Revolution That Will Transform How We Live, Work, and Think and who just recently published a book called Reinventing Capitalism in the Age of Big Data. 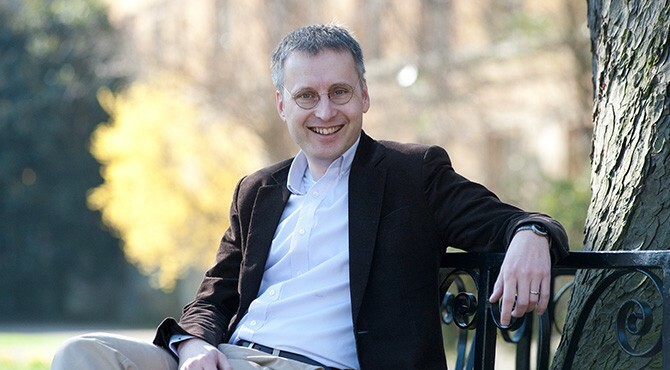 Viktor Mayer-Schönberger is the Professor of Internet Governance and Regulation at Oxford. His research focuses on the role of information in a networked economy. Previously he spent ten years on the faculty of Harvard’s Kennedy School of Government. Viktor sits down with me to talk about his new book and the concept of data-rich markets. As we discuss, there are tremendous advantages to having such a large amount of data available in the 2019 marketplace, but it’s how (and if) the data is shared and used that makes all the difference. Viktor kicks off the conversation by giving a little bit of insight into his background and how he became such an expert in the field of big data. As Viktor notes, “I had two careers in the past…I’m a bit of a serial entrepreneur on the software side. And then at the same time got involved in law and public policy, spent 10 years at the faculty at Harvard doing public policy in the hi-tech sector. 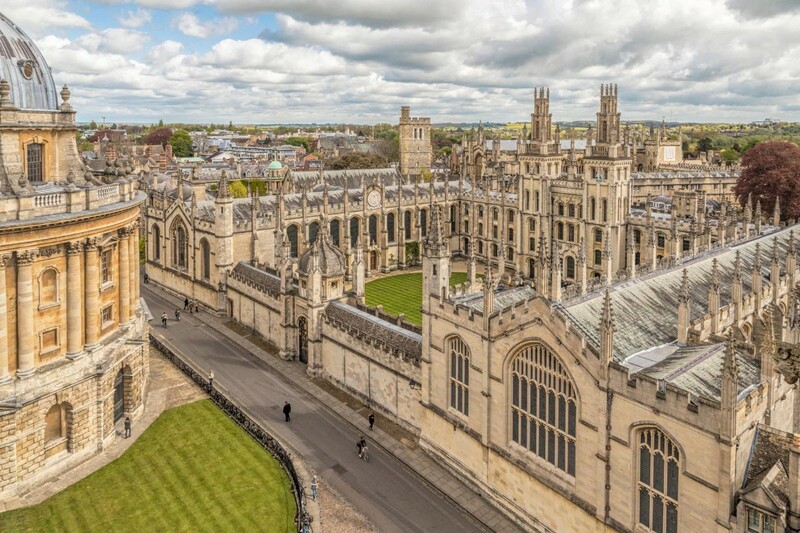 And since 2010 at the faculty of Oxford University doing the same thing. And so I’ve always been really interested in data and information and how we use data and how it changes our society, changes the economy, changes the institutions that are so central to what we are as a society.” The awareness, interest, and fascination with big data has not only provided an opportunity for a successful career but is what eventually led Viktor to write the book Big Data: A Revolution That Will Transform How We Live, Work, and Think. And while the ease of digital living makes life in 2019 much more streamlined and stress-free, it can come with some very serious implications since data is what drives the machine. Translation? Well, as Viktor identifies, “When you look more closely you see that every third dollar spent by a consumer on Amazon is spent based on a recommendation that Amazon makes. And so that means the decision making in the market isn’t necessarily decentral anymore. It’s Amazon’s recommendation engine that…sort of influences a third of the transactions. And that means there is more and more a concentration of decision making in these marketplaces. And that’s very worrying.” The issue here is that the data is being used not only to curate recommendations, but also to create an entire economy of purchases that are not purely out of people’s personal choice, but rather by being directed by the provider. “And the problem is that if you have a marketplace where there is a single decision maker then you don’t have a market anymore. You have a planned economy. And the danger of Amazon is that it looks like a marketplace. But it’s nothing more than approaching a planned economy”, Viktor notes. For a lot of people, big data is a tool to do what we were already doing but just faster or better or more efficiently. But big data is far more than that. Big data is an opportunity for us to get a new perspective on reality. It’s a new lens at reality that we didn’t have before. It’s not the absolute number of data points that really matter but our ability to capture comprehensively a particular phenomenon in data that we’re interested in so that we are not just looking at a small sample of data of a particular phenomenon but really something that is sort of approaching at least close to all of the data that can be captured about a specific phenomenon. There’s a lot of debate right now about data being the new oil that is a new very powerful valuable resource. This is way too short of a view because it suggests that our economy stays the same, the only thing that changes is that we are not trading in oil anymore, we are trading and transacting in data. But we see now a new kind of market coming up and marketplaces where we have much more information rather than just price available. And that means we can find exactly what we’re looking for. These are all marketplaces where we have a much better chance of finding exactly what we’re looking for and that makes these kind of markets far better than traditional markets, priced based markets. A big part of being able to leverage this data is being able to classify it, organize it and present it in a way that makes these transactions work. If you have a lot of data about someone’s preferences you are able to find what they’re looking for. Every third dollar spent by a consumer on Amazon is spent based on a recommendation that Amazon makes. And so that means the decision making in the market isn’t necessarily decentral anymore. It’s Amazon’s recommendation engine that influences a third of the transactions. The future cannot be in being a digital recluse and harking back to times of ignorance but really to try and make sure that the data isn’t as concentrated. If data is valuable then it should be spread more evenly. One way out of that is to mandate that large digital superstars share some of the data that they have of course anonymized with smaller startups. Making data be accessible to more parties, spreading it more evenly in the economy isn’t something new. It’s there because it enables us and it has been there for 100s of years in the case of patents, over 100 years in the case of antitrust. It’s there because it helps us keep the markets competitive and innovation going. The economy enables startups and smaller and larger companies to have access to data so that they can then use the data in their machine learning attempts that will produce innovation, that will produce new insights and that will produce not just economic growth but hopefully also a digital dividend for society. The next talking point is uncovering what role there is for humans. There is a lot of talk about the importance of creativity and soft skills and our ability to be emotional, but there should be more than that. We have to come up with some really good ways by which humans can remain relevant. For example by remaining in the loop of decision making is really I think the next big debate that’s coming our way.